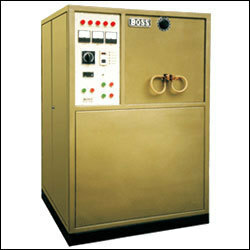 We, Boss Engineers, are engaged in manufacturing and supplying a broad array of Induction Heaters. Offered products are known for their reliable performance and resistance against abrasion. We hold all the aces in manufacturing and supplying a wide array of Induction Heaters. Under the offered array, we have High Frequency Induction Heater, Radio Frequency Induction Heater, Medium Frequency Induction Heater, Induction Hardening Machine and Induction Hardening Machine For Fly Wheel Ring. The offered heaters are in tune with intentional quality norms as these are made using premium quality raw material, sourced from the most reputed organization. We also provide these heaters as per the specifications detailed by patrons.